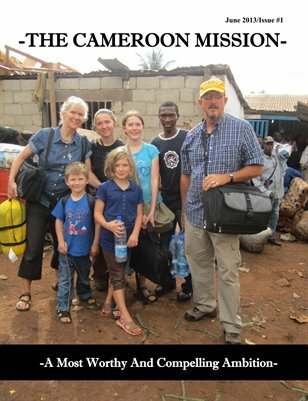 A Most Worth And Compelling Ambition highlights the Waite Family's first few months in Cameroon, Africa as they began work at an orphanage ministry and then branched out to reach the Fulbe people group. This magazine's purpose is first to glorify God and second to raise awareness of this ministry among the Believers in the U.S. as well as in other parts of the world. Our hope is that other Believers will join us in this ministry so that the Gospel will continue to spread further into Cameroon and beyond! !